Many incoming officers will get their first encounter with the unique demands of military life, to include physical training for combat deployments, through the ROTC program. The Army alone trains approximately 30,000 cadets and commissions more than 5,000 new officers per year through the system across hundreds of college campuses. Those college campuses also offer a resource the services can and should tap to improve fitness not just among ROTC cadets, but throughout the force: A certified sports trainer. Very few units have regular access to an individual with such training. That said, injuries are a fact of life for all athletes, including service members. That is one reason why, shortly after I took over as department chair and professor of military science at Washington State University in 2014 (the ROTC program has been in place since 1892), the cadre sought to hire the unit’s first strength and fitness coach. At that time, Natalie Reetz was a senior at WSU pursuing her undergraduate degree in sports science and also working as a personal trainer at the student recreation center. 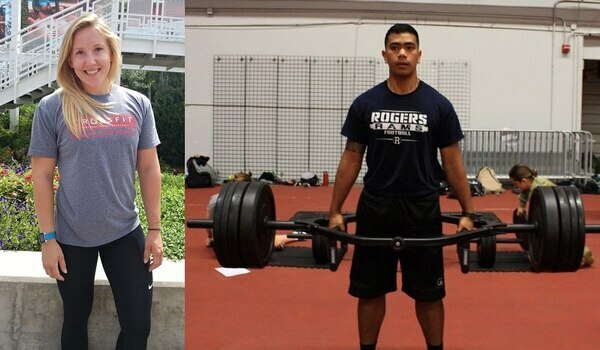 Reetz was a rower and a CrossFit enthusiast, holding three Washington state weightlifting records. After observing all the SRC trainers and their client interactions, we hired Reetz as her coaching techniques, workout plan development, encouragement and communication skills far outclassed every one of her peers. “Coach Natalie” co-planned unit physical readiness test goals and set recovery timelines for cadets who suffered inevitable injuries. She co-wrote more challenging PRT plans with the cadets as part of their weekly training meeting and developed specific clinics to improve the cadets’ form while running, stretching, performing bodyweight exercises and weightlifting. Her clinics were instrumental to the unit’s training for and implementation of the Army’s new Occupational Physical Assessment Test, which is used to help determine a potential soldier’s ability to meet the required physical demands of various military jobs. She led focused recovery sessions after major training events, arranged for nutrition classes, developed individual workout and meal plans and provided one-on-one counseling for cadets wishing to improve their overall well-being. While working with injured cadets, our coach discovered significant patterns, such as running overuse injuries. She taught cadets proper stretching and recovery strategies they could share with their own soldiers after commissioning. Unit test scores increased. 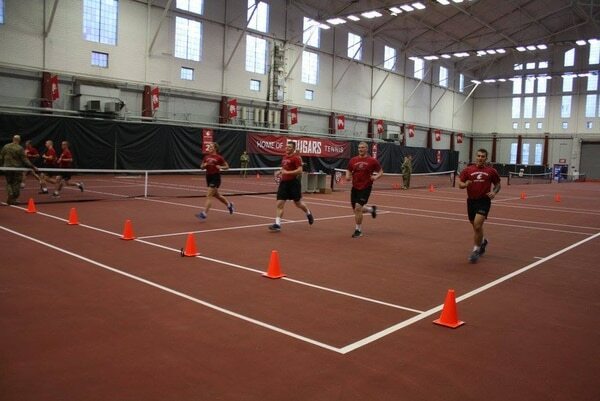 A cadet set a new school fitness-test record. Nearly every cadet posted a max score in all four parts of the OPAT. On a more personal level, Coach Natalie’s firsthand experience working with cadets offered insight into military training and the importance of fitness in service — something other civilian trainers could learn and pass on to their university and other civilian communities. Taking a nod from collegiate athletics, the U.S. military — primarily within the various special operations communities — has incorporated trainers into their own physical fitness regimens. However, the very real benefits derived from this initiative are not universally enjoyed across the broader U.S. military footprint. While most active-duty units do not have ready access to funds to pay a certified sports trainer, there are other solutions outside of monetary payment to hire a coach. 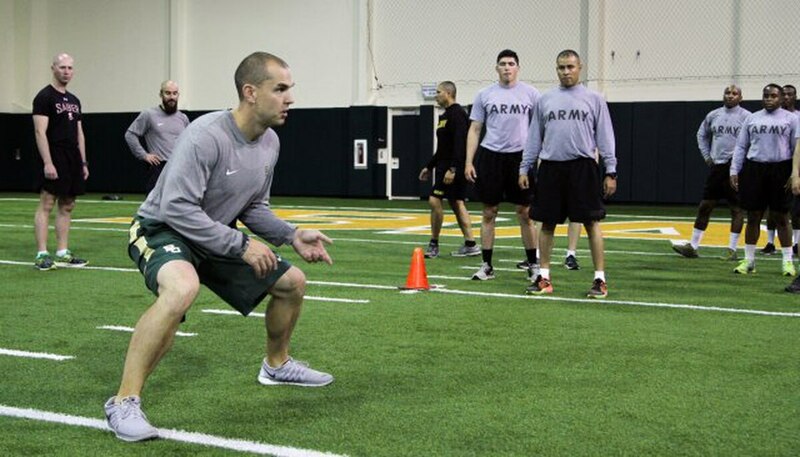 Most military bases are located near colleges or universities with sports-related degrees like sports science, health and fitness, and kinesiology. These undergraduate or graduate students normally require a hands-on internship of 450-540 hours as part of their degree requirements. Coach Natalie, for example, completed 450 hours in pursuit of her sports science degree. Units located far from a college might contact local area gyms or fitness centers for volunteer instructors willing to share their time and knowledge. A third option is for leaders to look within their own formations for certified fitness instructors and include them in their own PRT program planning. This experience has been enlightening for both the cadre and its coach, and opened a new door within the well-being and performance of our service members. The next step is to help make this collaboration more prevalent throughout all units. 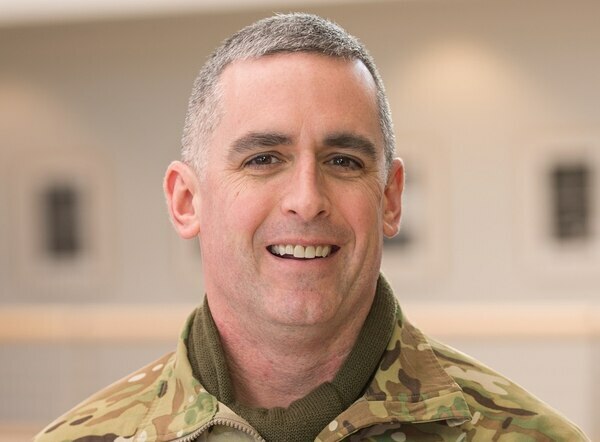 Lt. Col. Christopher J. Heatherly, a former professor of military science at Washington State University, is the deputy intelligence officer for operations, plans and training at U.S. Army Europe Headquarters in Wiesbaden, Germany. His opinions do not reflect those of the Army, Defense Department or any government agency.